This article is about the explosion of the drilling rig Deepwater Horizon. For the subsequent oil spill, see Deepwater Horizon oil spill. For other related articles, see Deepwater Horizon (disambiguation). The $560 million platform was built by Hyundai Heavy Industries in South Korea and completed in 2001. It was owned by Transocean, operated under the Marshalese flag of convenience, and was under lease to BP until September 2013. At the time of the explosion, the Deepwater Horizon was on Mississippi Canyon Block 252, referred to as the Macondo Prospect, in the United States sector of the Gulf of Mexico, about 41 miles (66 km) off the Louisiana coast. In March 2008, the mineral rights to drill for oil on the Macondo Prospect were purchased by BP at the Minerals Management Service's lease sale. The platform commenced drilling in February 2010 at a water depth of approximately 5,000 feet (1,500 m). At the time of the explosion the rig was drilling an exploratory well. The planned well was to be drilled to 18,360 feet (5,600 m) below sea level, and was to be plugged and suspended for subsequent completion as a subsea producer. Production casing was being run and cemented at the time of the accident. Once the cementing was complete, it was due to be tested for integrity and a cement plug set to temporarily abandon the well. In 2008 and 2009, the surveys ranked Transocean last among deep-water drillers for "job quality" and second to last in 'overall satisfaction'. For three years before the merger, Transocean was the leader or near the top in both measures. Transocean ranked first in 2008 and 2009 in a category that gauges its in-house safety and environmental policies. There were few indications of any trouble with the Deepwater Horizon before the explosion. The rig won an award from the MMS for its 2008 safety record, and on the day of the disaster, BP and Transocean managers were on board to celebrate seven years without a lost-time accident. A BP spokesman said rigs hired by BP have had better safety records than the industry average for six years running, according to MMS statistics that measure the number of citations per inspection. BP has been a finalist for a national safety award from the MMS for the past two years. Mr. Odone wouldn't comment on BP's relationship with Transocean after the Gulf disaster but said BP continues to use Transocean rigs. Deepwater Horizon drilling rig prior to the incident. In February 2009, BP filed a 52-page exploration and environmental impact plan for the Macondo well with the Minerals Management Service (MMS), an arm of the United States Department of the Interior that oversees offshore drilling. The plan stated that it was "unlikely that an accidental surface or subsurface oil spill would occur from the proposed activities". In the event an accident did take place, the plan stated that due to the well being 48 miles (77 km) from shore and the response capabilities that would be implemented, no significant adverse impacts would be expected. The Department of the Interior exempted BP's Gulf of Mexico drilling operation from a detailed environmental impact study after concluding that a massive oil spill was unlikely. In addition, following a loosening of regulations in 2008, BP was not required to file a detailed blowout plan. The BP wellhead had been fitted with a blowout preventer (BOP), but it was not fitted with remote-control or acoustically activated triggers for use in case of an emergency requiring a platform to be evacuated. It did have a dead man's switch designed to automatically cut the pipe and seal the well if communication from the platform is lost, but it was unknown whether the switch was activated. Documents discussed during congressional hearings June 17, 2010 indicated that Transocean previously made modifications to the BOP for the Macondo site which increased the risk of BOP failure, in spite of warnings from their contractor to that effect. Regulators in both Norway and Brazil generally require acoustically activated triggers on all offshore platforms, but when the Minerals Management Service considered requiring the remote device, a report commissioned by the agency as well as drilling companies questioned its cost and effectiveness. In 2003, the agency determined that the device would not be required because drilling rigs had other back-up systems to cut off a well. The US Coast Guard had issued pollution citations for Deepwater Horizon 18 times between 2000 and 2010, and had investigated 16 fires and other incidents. 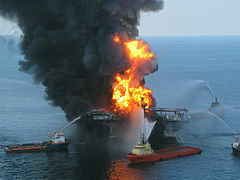 These incidents were considered typical for a Gulf platform and were not connected to the April 2010 explosion and spill. The Deepwater Horizon had other serious incidents, including one in 2008 in which 77 people were evacuated from the platform when it tilted and began to sink after a section of pipe was incorrectly removed from the platform's ballast system. The American Bureau of Shipping last inspected the rig's failed blowout preventer in 2005. Internal BP documents show that BP engineers had concerns as early as 2009 that the metal casing that BP wanted to use might collapse under high pressure. According to a number of rig workers, it was understood that workers could get fired for raising safety concerns that might delay drilling. In March 2010, the rig experienced problems that included drilling mud falling into the undersea oil formation, sudden gas releases, a pipe falling into the well and at least three occasions of the blowout preventer leaking fluid. The rig's mechanic stated that the well had been experiencing problems for months, and that the drill repeatedly kicked due to resistance from high gas pressure. On March 10, a BP executive e-mailed the Minerals Management Service about a stuck pipe and well control situation at the drilling site, and stated that BP would have to plugback the well. A confidential survey commissioned by Transocean weeks before the explosion stated that workers were concerned about safety practices and feared reprisals if they reported mistakes or other problems. The survey raised concerns "about poor equipment reliability, which they believed was a result of drilling priorities taking precedence over maintenance." The survey found that "many workers entered fake data to try to circumvent the system. As a result, the company's perception of safety on the rig was distorted". The blowout preventer was damaged in a previously unreported accident in late March. According to Transocean, workers had been performing standard routines and had no indication of any problems prior to the explosion. By April 20, the operation was running five weeks late. An April draft of a BP memo warned that the cementing of the casing was unlikely to be successful. Halliburton has said that it had finished cementing 20 hours before the blowout, but had not yet set the final cement plug. A nitrogen-foamed cement was used which is more difficult to handle than standard cement. BP Vice President of drilling, Patrick O'Bryan, was on the platform two hours prior to the explosion to celebrate seven years without a "lost-time incident" with the rig's crew. A BP official on board the rig directed the crew to replace the drilling mud with lighter seawater even though the rig's chief driller protested. Preliminary findings from BP's internal investigation indicated several serious warning signs in the hours prior to the blowout. Equipment readings indicated gas bubbling into the well, which could signal an impending blowout. The heavy drilling mud in the pipes initially held down the gas. A House Energy and Commerce Committee statement in June 2010 noted that in a number of cases leading up to the explosion, BP appears to have chosen riskier procedures to save time or money, sometimes against the advice of its staff or contractors. The fire aboard the Deepwater Horizon reportedly started at 9:56 p.m. CDT on April 20. At the time, 126 crew were on board: 7 employees of BP, 79 of Transocean, and employees of other companies, including Anadarko, Halliburton and M-I Swaco. Transocean employees on the vessel stated that the electric lights flickered, followed by two strong vibrations. Jim Ingram stated that "on the second [thud], we knew something was wrong." After the explosion, Adrian Rose stated that abnormal pressure had accumulated inside the marine riser and as it came up it "expanded rapidly and ignited." According to BP's internal investigation, a bubble of methane gas escaped from the well and shot up the drill column, expanding quickly as it burst through several seals and barriers before exploding. Rose said the event was basically a blowout. Survivors described the incident as a sudden explosion that gave them less than five minutes to escape as the alarm went off. The explosion was followed by a fire that engulfed the platform. After burning for more than a day, Deepwater Horizon sank on April 22. The Coast Guard stated on April 22 that they received word of the sinking at approximately 10:21 am. On September 8, BP published a report that suggested that the ignition source was the released gas entering the air intakes of the diesel generators, and engulfing the deck area where the exhaust outlets for the main generators were emitting hot exhaust gas. A helicopter crew medevac survivors from Deepwater Horizon after the explosion. According to officials, 126 people were on board, of whom 79 were Transocean employees, seven were from BP, and 40 were contracted; several of the BP and Transocean executives were on board for a tour of the rig, maintenance planning, annual goals review, a "Drops" safety campaign, and to congratulate the senior staff of the rig for 7 years of operations without a lost time incident. A total of 115 people were evacuated. Lifeboats took 94 workers to the Tidewater-owned supply boat Damon Bankston, with no major injuries, four were transported to another vessel, and 17 were evacuated by helicopter to trauma centers in Mobile, Alabama and Marrero, Louisiana. Most were soon released. Upon arrival at Port Fourchon, crew members were given an opportunity to leave, however, were encouraged to accept transportation to the Crowne Plaza Hotel in Kenner, Louisiana. Crew members were offered medical care, rooms and opportunity to go home upon arrival at hotel ... Upon arriving at the hotel, crew members were offered the opportunity to meet with qualified medical professionals, to retire to private rooms where they could eat, shower and sleep, or go home. Only then did Transocean and its representatives present crew members with a standard one-page document that asked them to describe where they were at the time of the incident, what they were doing, and to affirm, if true, that they were not a witness and/or that they were not injured. They were free to complete the form at their leisure, or not at all. Some crew members even took the forms home and returned them more than seven days after the incident. Initial reports indicated that between 12 and 15 workers were missing; reports soon narrowed the number of missing to nine crew members on the platform floor and two engineers. The United States Coast Guard immediately launched a rescue operation involving two Coast Guard cutters, four helicopters, and a rescue plane. Two of the cutters continued searching through the night. By the morning of April 22, the Coast Guard had surveyed nearly 1,940 square miles (5,000 km2). On April 23, the Coast Guard called off the search for the 11 missing persons, concluding that "reasonable expectations of survival" had passed. Officials concluded that the missing workers may have been near the blast and unable to escape the sudden explosion. On the morning of April 22, Coast Guard Petty Officer Ashley Butler stated that "oil was leaking from the rig at the rate of about 8,000 barrels (340,000 US gallons; 1,300,000 litres) of crude per day." That afternoon Coast Guard Senior Chief Petty Officer Michael O'Berry used the same figure. 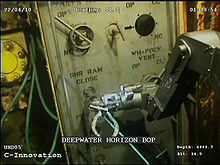 Two remotely operated underwater vehicles (ROVs) were sent down in an attempt to cap the well but were unsuccessful. Butler warned of a leak of up to 700,000 US gallons (17,000 bbl) of diesel fuel, and BP Vice President David Rainey termed the incident as being a potential "major spill." On April 23 a ROV reportedly found no oil leaking from the sunken rig and no oil flowing from the well. Coast Guard Rear Admiral Mary Landry expressed cautious optimism of zero environmental impact, stating that no oil was emanating from either the wellhead or the broken pipes and that oil spilled from the explosion and sinking was being contained. On April 24 Landry announced that a damaged wellhead was indeed leaking oil into the Gulf and described it as "a very serious spill". In June, the House Committee on Energy and Commerce said BP should have tested cement at the well, which would have cost $128,000 and taken 8–12 hours. On September 8, 2010, BP released a 193-page report on its web site. The report says BP employees and those of Transocean did not correctly interpret a pressure test, and both companies neglected ominous signs such as a riser pipe losing fluid. It also says that while BP did not listen to recommendations by Halliburton for more centralizers (devices to keep the casing from contacting the bore hole), the lack of centralizers probably did not affect the cement. BP also said the crew should have redirected the flow of flammable gases. The blowout preventer, removed on September 4, had not reached a NASA facility in time for it to be part of the report. Transocean, responding to the report, blamed "BP's fatally flawed well design." On November 8, 2010, the inquiry by the Oil Spill Commission revealed its findings that BP had not sacrificed safety in attempts to make money, but that some decisions had increased risks on the rig. However, the panel said a day later that there had been "a rush to completion" on the well, criticizing poor management decisions. "There was not a culture of safety on that rig," co-chair Bill Reilly said. One of the decisions that met with tough questions was that BP refuted the findings of advanced modelling software that had ascertained over three times as many centralizers were needed on the rig. It also decided not to rerun the software when it stuck with only six centralizers, and ignored or misread warnings from other key tests, the panel revealed. A slide briefly appeared on the Oil Spill Commission's website which enumerated eight "risky" and "unnecessary" steps that BP was deemed to have taken. The New York Times newspaper has published a screenshot of the slide here. 1. Small diameter hole obstructed dirt circulation. The 18,300-foot, 400-ton casing string had a 5,800-foot lower portion with a 7-inch diameter. Most of the hole over this portion of casing had a 9.875 inch diameter. However, the lowest 180 feet of 7-inch casing with 4 equally spaced centralizers were squeezed into an 8.5-inch hole with only 56 feet of rathole clearance (space between the lower end of the casing string and the bottom of the drilled hole). Compressed sediment and granular infill in the 0.75-inch wide annulus (Halliburton's best practices document recommends 1.5 to 2-inch annular gap tolerance) most probably explains the need for a much-higher-than-normal pressure of 3142 psi to liquefy it (on the ninth attempt) and allow mud to circulate. The unexpectedly high pressure and subsequent lower-than-specified mud flow led to problems 2 and 3. 2. Valves to prevent cement backflow did not close. Weatherford's Auto-Fill float collar, which includes two flapper-type check valves, was installed at Macondo 180 ft above the reamer shoe at casing bottom. The valves are held open by a 2-inch diameter auto-fill tube to allow the casing to fill with mud while it is lowered down the well. BP's casing installation procedure stated: "slowly increase (mud) pump rates greater than 8 bpm to convert the float equipment (~ 500 – 700 psi) per Weatherford recommendation". As the flow rate drag force during circulation and cementing was only around 30% of that required, the auto-fill tube was almost certainly not ejected and the flapper valves never closed. Some evidence suggests that personnel on the Deepwater Horizon mistakenly believed that the high pressure needed to establish mud circulation had converted the float collar. 3. Cementing inadequate. Cementing proceeded a) without flushing the annulus around the shoe track at sufficiently high rate and duration to ensure full circumferential removal of compressed sediment and good distribution of cement, and b) without converting the float collar to activate its two check valves to prevent cement backflow. Cement quality and strength may have been reduced by contamination on its way down the casing, or by mixing with lower density mud in the rathole. There was no cementing evaluation log at Macondo, which may have shown it to be inadequate. 4. Pressure test wrongly interpreted. Drill pipe was run to 8,367 ft, and was thought to be ready for mud displacement. During the "negative pressure test", for which there was no detailed procedure, a "no flow" result from the kill line was accepted, while a 1,400 psi result on the drill pipe was ignored. 5. Rising oil and gas not monitored. While displacing the mud with seawater, reservoir fluids rising up the casing should have been detected by water inflow and mud outflow monitoring before arrival of hydrocarbons at the rig floor, but no reasonably accurate outflow versus inflow observations were made. 6. Fail-safe on seabed wellhead was unable to close. After uncontrolled arrival of oil and gas at the rig floor, the blind-shear rams in the BOP stack failed to close due to the presence of off-center drill pipe. On April 21, 2011, BP filed $40 billion worth of lawsuits against rig owner Transocean, cementer Halliburton and blowout-preventer manufacturer Cameron. The oil firm alleged that failed safety systems and irresponsible behaviour of contractors had led to the explosion, including claims that Halliburton "negligently" failed to use cement-modelling software OptiCem properly to analyze safe well requirements. Part of the modelling concern was about the number of stabilising devices, known as centralisers, the well required: 21 called for v. 6 used. In May 2011, MOEX Offshore, which owned a 10% stake in the well through a subsidiary and which in turn itself was majority-owned by Mitsui & Co., agreed to pay US$1.07 billion to settle BP claims against it over the accident. Some analysts had thought BP would realize a larger settlement from MOEX but there was also relief to have a first step toward resolving the multiple claims. BP's most recent estimate at the time was that the spill would cost $41.3 billion. Anadarko Petroleum held a 25% stake in the Macondo well and was an immediate focus of attention with MOEX's agreement. Also the Department of Justice was still at the time investigating whether BP was "grossly negligent" in the spill. Such a determination could lead to a "much larger liability under the Clean Water Act," a financial analyst said. With MOEX agreeing to share in the financial burden—though "the agreement isn't an admission of liability by either party"—the possibility of such a ruling by the Department of Justice seemed to some to be perhaps lessened. In June 2011, supplier Weatherford International settled with BP for $75 million. In October 2011, Anadarko Petroleum Corporation agreed to pay BP $4 billion and the two companies settled all claims between them. Anadarko yielded its 25% stake in Mississippi Canyon Block 252 (Macondo) to BP in the agreement and BP will indemnify Anadarko for damage claims arising under the U.S. Oil Pollution Act, among other costs. In December 2011, Cameron International agreed to pay a $250 million settlement to BP PLC to settle all claims related to the Deepwater Horizon with neither party admitting responsibility. "BP still has not reached a settlement with Transocean ... nor Halliburton ... A trial date over lawsuits related to the accident awaits BP in February (2013)", the update continued. In September 2014, Halliburton agreed to settle a large percentage of legal claims against it over the Deepwater spill by paying $1.1 billion into a trust by way of three installments over two years. On September 4, 2014, U.S. District Judge Carl Barbier ruled BP was guilty of gross negligence and willful misconduct under the Clean Water Act (CWA). He described BP's actions as "reckless," while he said Transocean's and Halliburton's actions were "negligent." He apportioned 67% of the blame for the spill to BP, 30% to Transocean, and 3% to Halliburton. Fines would be apportioned commensurate with the degree of negligence of the parties, measured against the number of barrels of oil spilled. Under the Clean Water Act fines can be based on a cost per barrel of up to $4,300, at the discretion of the judge. The number of barrels was in dispute at the conclusion of the trial with BP arguing 2.5 million barrels were spilled over the 87 days the spill lasted, while the court found that 4.2 million barrels were spilled. BP issued a statement disagreeing with the finding, and saying the court's decision would be appealed. In July 2015 BP reached an $18.7bn settlement with the US government, the states of Alabama, Florida, Louisiana, Mississippi and Texas, as well as 400 local authorities. BP's costs for the clean-up, environmental and economic damages and penalties had reached $54bn. In January 2018 a detailed estimate of the "Ultimate Costs of the Oil Spill", published in the Journal of Corporate Accounting and Finance, amounted to 145.93 billion USD. Deepwater Horizon is a 2016 film based on the explosion directed by Peter Berg and starring Mark Wahlberg. The National Geographic Channel's documentary series Seconds From Disaster featured the accident in an episode titled "The Deepwater Horizon," released in December 2012. The event was also featured on the 24 June 2012 pilot episode of the HBO television series The Newsroom. The ensuing oil spill inspired Steve Earle's song "Gulf of Mexico". 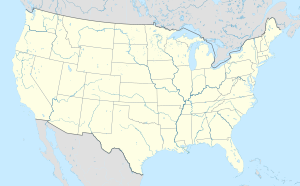 ^ United States Environmental Protection Agency. Deepwater Horizon Response April 2010. Download KML Geographic Data. ^ Goldenberg, Suzanne; MacAlister, Terry (November 28, 2012). "BP suspended from new US federal contracts over Deepwater disaster". The Guardian. London. ^ Zeller, Jr., Tom (May 28, 2010). "Estimates Suggest Spill Is Biggest in U.S. History". The New York Times. ^ ""Bird Habitats Threatened by Oil Spill" from National Wildlife". National Wildlife Federation. April 30, 2010. Retrieved May 3, 2010. ^ "Transocean Deepwater Horizon specifications". Transocean. Archived from the original on May 3, 2010. Retrieved April 22, 2010. ^ "Transocean Ltd. Provides Deepwater Horizon Update". Wallstreet Journal. April 26, 2010. ^ Reddall, Braden (April 22, 2010). "Transocean rig loss's financial impact mulled". Reuters. Retrieved May 1, 2010. ^ "BP confirms that Transocean Ltd issued the following statement today" (Press release). BP. April 21, 2010. Archived from the original on April 25, 2010. Retrieved April 21, 2010. ^ "Deepwater Horizon Still on Fire in GOM". Rigzone. April 21, 2010. Retrieved April 21, 2010. ^ "Gibbs: Deepwater Horizon Aftermath Could Affect Next Lease Sale". Rigzone. April 30, 2010. Retrieved May 18, 2010. ^ "Central Gulf of Mexico Planning Area Lease Sale 206 Information". US Minerals Management Service. August 8, 2008. Retrieved June 6, 2010. ^ a b "Macondo Prospect, Gulf of Mexico, USA". offshore-technology.com. October 20, 2005. Retrieved May 9, 2010. ^ Jervis, Rick (April 21, 2010). "At least 11 workers missing after La. oil rig explosion". USA Today. Associated Press. Retrieved April 21, 2010. ^ a b c Brenner, Noah; Guegel, Anthony; Hwee Hwee, Tan; Pitt, Anthea (April 22, 2010). "Coast Guard confirms Horizon sinks". Upstream Online. NHST Media Group. Retrieved April 22, 2010. ^ a b c Casselman, Ben (May 10, 2010). "Rig Owner Had Rising Tally of Accidents". Wall Street Journal Online. Archived from the original on September 30, 2016. Retrieved February 25, 2017. ^ a b Burdeau, Cain; Mohr, Holbrook (April 30, 2010). "Document: BP didn't plan for major oil spill". ABC News. Associated Press. Retrieved April 30, 2010. ^ Eilperin, Juliet (May 5, 2010). "U.S. exempted BP's Gulf of Mexico drilling from environmental impact study". The Washington Post. The Washington Post Company. Retrieved May 16, 2010. ^ Jones, Jeffrey; Mason, Jeff (May 6, 2010). "RPT-BP's US Gulf project exempted from enviro analysis". Reuters. Retrieved May 16, 2010. ^ Kunzelman, Michael; Pienciak, Richard (May 3, 2010). "Feds let BP avoid filing blowout plan for Gulf rig". Associated Press. Retrieved June 3, 2010. ^ a b c Gold, Russell; Casselman, Ben; Chazan, Guy (April 28, 2010). "Leaking Oil Well Lacked Safeguard Device". Wall Street Journal. Retrieved May 26, 2010. ^ Soraghan, Mike (May 4, 2010). "Warnings on Backup Systems for Oil Rigs Sounded 10 Years Ago". The New York Times. Greenwire. Retrieved May 16, 2010. ^ a b Jordans, Frank; Burke, Garance (April 30, 2010). "Rig had history of spills, fires before big 1". Huffington Post. Associated Press. Retrieved May 1, 2010. ^ "Accident Investigation Report" (PDF). Minerals Management Service. May 26, 2008. Archived from the original (PDF) on May 20, 2010. Retrieved April 22, 2010. ^ Hammer, David (May 26, 2010). "Hearings: Rig's blowout preventer last inspected in 2005". Times-Picayune. Retrieved May 26, 2010. ^ a b c d Urbina, Ian (May 29, 2010). "Documents Show Early Worries About Safety of Rig". New York Times. Retrieved June 4, 2010. ^ a b c d e Bronstein, Scott; Wayne Drash (June 9, 2010). "Rig survivors: BP ordered shortcut on day of blast". CNN. Retrieved June 9, 2010. ^ Carroll, Joe (May 31, 2010). 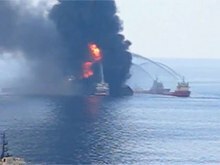 "BP Cited 'Well Control Situation' Six Weeks Before Blowout". Bloomberg Businessweek. Archived from the original on April 27, 2011. Retrieved June 4, 2010. ^ Urbina, Ian (July 21, 2010). "Workers on Doomed Rig Voiced Concern About Safety". The New York Times. The New York Times Company. Retrieved November 11, 2010. ^ "Gulf Of Mexico Oil Disaster: Transocean Reports Highlight Workers' Concerns Over Deepwater Horizon | Business | Sky News". News.sky.com. Archived from the original on April 27, 2011. Retrieved July 23, 2010. ^ "Blowout: The Deepwater Horizon Disaster". CBS News: 60 Minutes. May 16, 2010. Retrieved June 15, 2010. ^ Fowler, Tom (May 18, 2010). "BP Prepared for Top Kill to Plug Well". Houston Chronicle. Retrieved May 22, 2010. ^ a b c d "At least 11 missing after blast on oil rig in Gulf". CNN. April 21, 2010. Retrieved April 21, 2010. ^ Brenner, Noah; Guegel, Anthony; Hwee Hwee, Tan; Pitt, Anthea (April 30, 2010). "Congress calls Halliburton on Macondo". Upstream Online. NHST Media Group. Retrieved May 1, 2010. ^ a b Gillis, Justin; Broder, John (May 10, 2010). "Nitrogen-Cement Mix Is Focus of Gulf Inquiry". The New York Times. ^ "Patrick Obryan testimony". C-Span. Retrieved October 30, 2015. ^ Hammer, David. "Hearings: Rig master recounts explosion and abandoning ship". NOLA dot com. Retrieved October 30, 2015. ^ Henry Fountain and Tom Seller, Jr. (May 25, 2010). "Panel Suggests Signs of Trouble Before Rig Explosion". New York Times. Retrieved May 26, 2010. ^ "Committee Releases Details of BP's Internal Incident Investigation". United States House Committee on Energy and Commerce. May 25, 2010. Retrieved May 26, 2010. ^ "BP engineer called doomed rig a 'nightmare well'". CBS/Associated Press. June 14, 2010. Retrieved May 20, 2011. ^ PENDLEBURY, RICHARD (May 27, 2010). "Why's BP taking all the blame?". Daily Mail. ^ "Transocean Deepwater Horizon Explosion-A Discussion of What Actually Happened?". Drilling Ahead. April 26, 2010. Archived from the original on October 24, 2011. Retrieved October 11, 2011. ^ a b Schwartz, Naoki; Harry R. Weber (May 7, 2010). "APNewsBreak: Bubble of methane triggered rig blast". Associated Press. Retrieved June 6, 2010. ^ Wise, Lindsay; Latson, Jennifer; Patel, Purva (April 22, 2010). "Rig blast survivor: 'We had like zero time'". Houston Chronicle. Retrieved April 22, 2010. ^ Resnick-Ault, Jessica; Klimasinska, Katarzyna (April 22, 2010). "Transocean Oil-Drilling Rig Sinks in Gulf of Mexico". Bloomberg L.P. Retrieved April 22, 2010. ^ a b c "Oil slick spreads from sunken rig (video interview)". CNN. April 22, 2010. Retrieved May 2, 2010. ^ "Deepwater Horizon Accident Investigation Report" (PDF). BP. September 8, 2010. Retrieved October 4, 2016. ^ USCG & MMS Joint Investigation of Deepwater Horizon Explosion, Haire and Ezell Testimony May 28, 2010 (digital media). C-Span. May 28, 2010. Event occurs at 38:30, 1:01:05, 1:20:37. Retrieved June 5, 2010. ^ a b Kirkham, Chris (April 22, 2010). "Rescued oil rig explosion workers arrive to meet families at Kenner hotel". New Orleans Metro Real-Time News. The Times-Picayune. Retrieved April 22, 2010. ^ Lee, Lee; Kofman, Jeffrey; Murray, Michael (April 22, 2010). "Deepwater Horizon Is On fire; Officials Say Burning Oil Rig in Gulf of Mexico Has Sunk". ABC. Retrieved April 22, 2010. ^ "Search for Missing Workers After La. Oil Rig Blast". Fox News. Associated Press. April 21, 2010. Retrieved April 21, 2010. ^ a b Kaufman, Leslie (April 24, 2010). "Search Ends for Missing Oil Rig Workers". New York Times. p. A8. Retrieved April 24, 2010. ^ Shapiro, Joseph (May 6, 2010). "Rig survivors felt coerced to sign waivers". National Public Radio. Retrieved May 18, 2010. ^ "Transocean denies forcing crew to sign waivers". Upstream Online. NHST Media Group. May 12, 2010. Retrieved May 25, 2010. ^ "Transocean news release – Marketwire via Comtex". May 11, 2010. Retrieved February 14, 2013. ^ Robertson, Campbell; Robbins, Liz (April 21, 2010). "Workers Missing After Oil Rig Blast". The New York Times. Retrieved April 21, 2010. 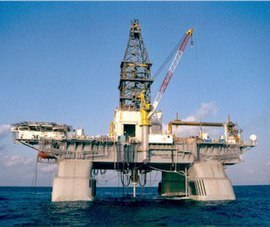 ^ "Transocean Ltd. Reports Fire on Semisubmersible Drilling Rig Deepwater Horizon" (press release). Transocean. April 21, 2010. Retrieved April 21, 2010. ^ "The Ongoing Administration-Wide Response to the Deepwater BP Oil Spill" (press release). Whitehouse.gov. May 5, 2010. Retrieved May 8, 2010. ^ "Coast guard calls off search for oil rig workers". CBC. Associated Press. April 23, 2010. Retrieved April 23, 2010. ^ McGill, Kevin (April 22, 2010). "11 missing in oil rig blast may not have escaped". Salon Media. Associated Press. Archived from the original on June 3, 2010. Retrieved April 22, 2010. ^ "Coast Guard: Oil rig that exploded has sunk". CNN. April 22, 2010. Retrieved April 30, 2010. ^ Nichols, Bruce (April 23, 2010). "Oil spill not growing, search for 11 continues". Reuters. Retrieved April 30, 2010. ^ Jervis, Rick (April 23, 2010). "Coast Guard: No oil leaking from sunken rig". USA Today. Retrieved April 30, 2010. ^ McGill, Kevin; Schwartz, Noaki (April 23, 2010). "Oil drilling accidents prompting new safety rules". The San Diego Union-Tribune. Retrieved December 10, 2016. ^ Coast Guard: Oil Not Leaking from Sunken Rig. CBS News. CBS. April 23, 2010. Retrieved April 30, 2010. ^ RAW: Interview with Rear Adm. Mary Landry. Clip Syndicate. WDSU NBC. April 23, 2010. Retrieved April 30, 2010. ^ "Oil rig wreck leaks into Gulf of Mexico". CBC News. Associated Press. April 25, 2010. Retrieved April 25, 2010. ^ http://www.glossary.oilfield.slb.com/Terms/c/casing_centralizer.aspx Schaumburger Oilfield Glossary "casing centralizer"
^ Weber, Harry R.; Kunzelman, Michael; Cappiello, Dina (September 8, 2010). "All eyes on BP report on Gulf". Oil Spill News/Artesia News. Associated Press. Archived from the original on July 23, 2011. Retrieved March 16, 2016. ^ "Oil spill: BP 'did not sacrifice safety to save money'". BBC. November 9, 2010. Retrieved November 12, 2010. ^ "Gulf oil spill: President's panel says firms complacent". BBC. November 9, 2010. Retrieved November 12, 2010. ^ Leo King (November 12, 2010). "Deepwater Horizon modelling software showed BP cement conditions unstable". Computerworld UK. Retrieved November 12, 2010. ^ "Various Decisions That May Have Increased Risk" (PDF). eenews.net. November 23, 2011. Retrieved January 14, 2017. ^ Leo King (November 26, 2010). "BP ignored safety software advice, investigators find: Secret presentation slide emerges showing decisions taken". Computerworld UK. Archived from the original on April 30, 2011. Retrieved April 26, 2010. ^ Leo King (April 21, 2011). "BP £24bn lawsuits claim contractors failed to use modelling software properly". Computerworld UK. Retrieved April 26, 2010. ^ Kennedy, Simon (May 20, 2011). "BP settles with Mitsui arm over Macondo spill". MarketWatch. Retrieved May 20, 2011. ^ FitzGerald, Drew, "BP, Weatherford In Settlement on Deepwater Horizon", Dow Jones Newswires via Rigzone, June 20, 2011. Retrieved December 16, 2011. ^ "BP in $4bn settlement with Anadarko". Financial Times. October 17, 2011. ^ Daniel, Robert (October 17, 2011). "Anadarko and BP settle Deepwater Horizon dispute". MarketWatch. Retrieved October 17, 2011. ^ Gelsi, Steve, "Cameron rises on BP settlement ...", MarketWatch, December 16, 2011 4:29 pm EST. Retrieved December 16, 2011. ^ "Halliburton to pay around $1.1 bn for US oil spill claims". Reuters. September 2, 2014. Retrieved September 3, 2014. ^ "BP found "grossly negligent' in Gulf of Mexico oil spill". New Orleans Sun. September 4, 2014. Retrieved September 5, 2014. ^ Ed Crooks, Christopher Adams. "BP: Into uncharted waters". ft.com. Retrieved August 10, 2015. ^ Lee, Yong Gyo; Garza-Gomez, Xavier; Lee, Rose M. (January 8, 2018). "Ultimate Costs of the Disaster: Seven Years After the Deepwater Horizon Oil Spill". Journal of Corporate Accounting & Finance. 29: 69–79. doi:10.1002/jcaf.22306. ^ Debruge, Peter; Debruge, Peter (September 14, 2016). "Film Review: 'Deepwater Horizon'". Retrieved February 1, 2019. "Deepwater Horizon Joint Investigation Team Report". Bureau of Safety and Environmental Enforcement. September 9, 2011.